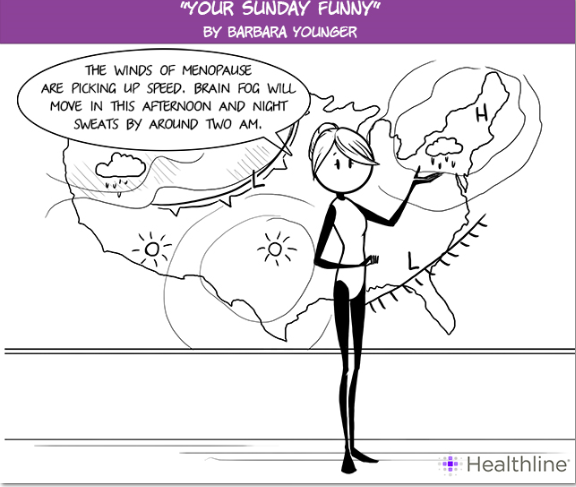 Last February, Healthline asked me to come up with concepts for menopause cartoons. What fun! Illustrator Julia Selutina drew the whimsical characters and brought my cartoon ideas to life. The cartoon above is one of my favorites because my mom’s good friend Kathleen Taylor actually came up with the idea, not me. Thanks, Kathy! She based it on the story of a friend, who in the middle of a hot flash, tore off all of her clothes. I really did have a hard time deciding what to do with my remaining tampons. I wrote one of my first blog posts, “Toot-a-loo Tampons!” about the dilemma. You can read it here. I remember how nervous and bold I felt posting a picture of tampons online. Ha! Little did I know what else I’d write about on this blog. 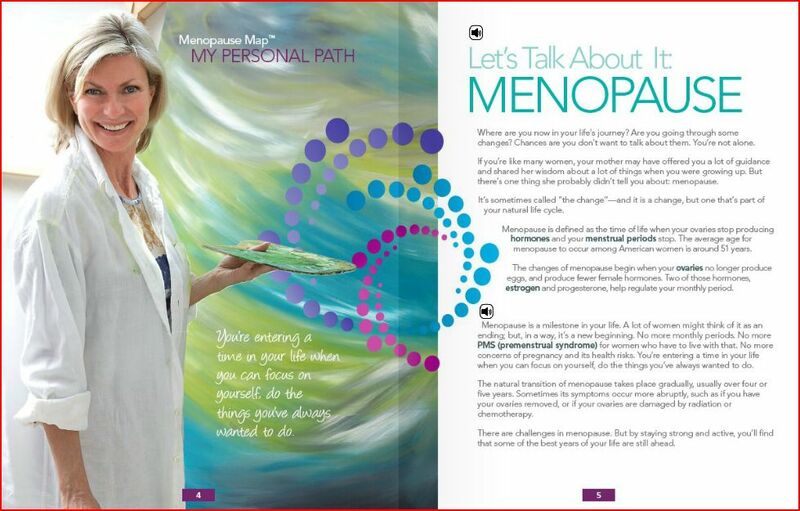 Speaking of the winds of menopause, a new reader, Michele, contacted me after finding my article on the Hormone Health Network. The article helped her realize that her emotional (and physical) issues were related to hormones, not larger health issues. Michele is doing well now and has a guest post coming up for us soon. 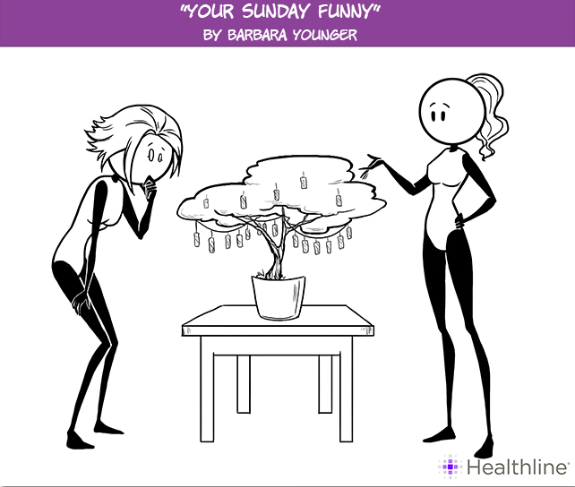 Even the worst hot flash or the grumpiest day is a bit lighter if we sprinkle in some humor. I had a great time coming up with these cartoon ideas. 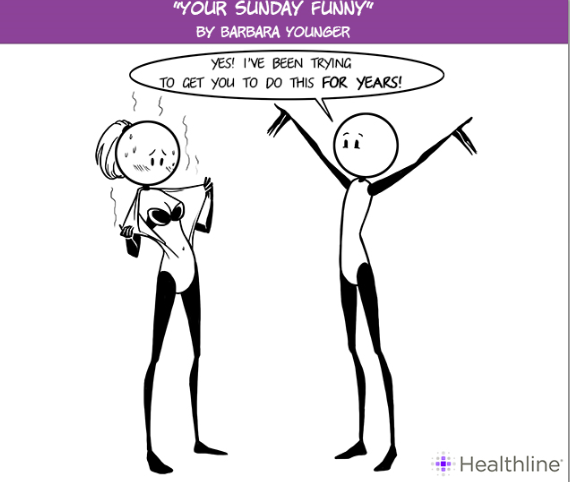 Thanks, Healthline! Check out Healthline’s menopause articles, including this one on symptoms of menopause. 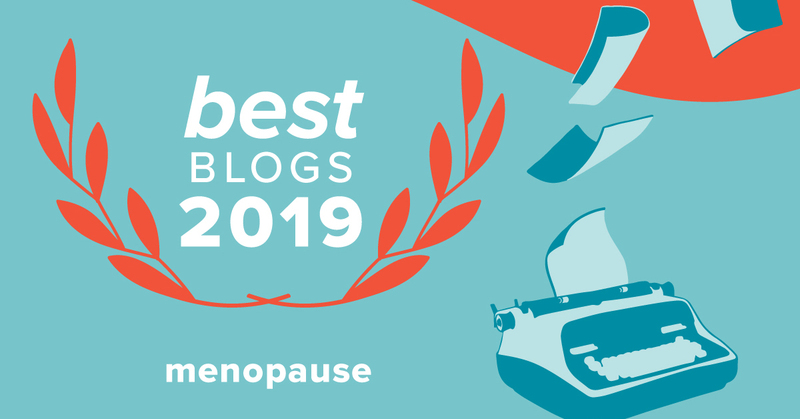 Check out the Hormone Health Network’s great resource, the Menopause Map that helps you explore your personal journey to menopause. September! Do you believe it? We’re more than halfway through. 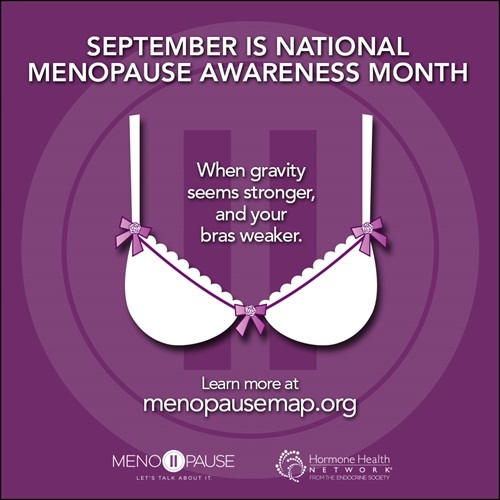 But while you’re thinking about fall sweaters or football (love it/hate it) or apples, apples, apples, pause to remember that September is National Menopause Awareness Month. That Silent Passage isn’t so silent anymore. 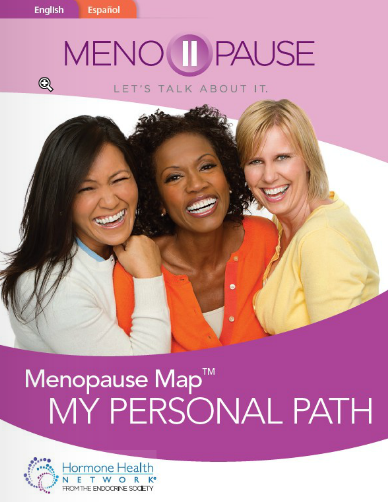 The network’s Menopause Map helps you determine where you are in the menopause journey. Check it out here. Click here to read their comprehensive guide to menopause. Don’t miss this excellent resource. Thank you Hormone Health Network! 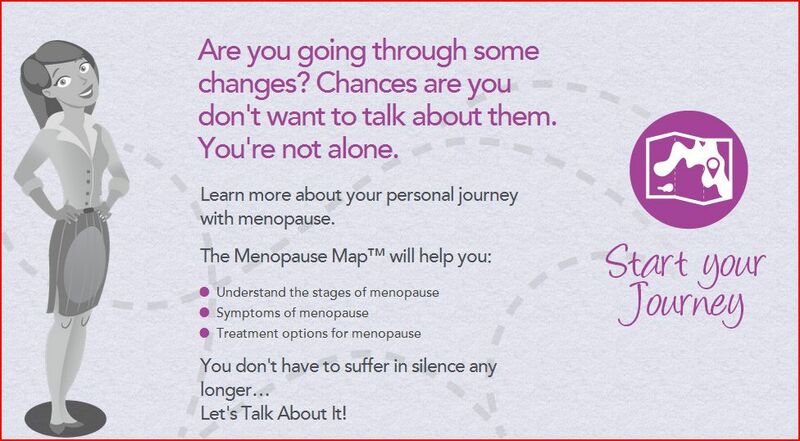 And no matter where you are on the menopause road, Happy Menopause Awareness Month! Giveaway Winners! I’ve been lax this summer about posting the names of giveaway winners, but here’s the latest list. Congrats to Kay Lynn and Jo, who won Menopause Mops; Stephanie who won Susan Gabriel’s Fearless Writing for Women; and to Audrey, who won an Affirmation Card Deck and print from Marylou Falstreau.